Do you provide care for a loved one with a chronic illness or disorder? You are not alone. Being a family caregiver is stressful and can lead to total exhaustion and burnout. If caregivers do not take care of themselves, their own health is put in danger. The Stress-Busting Program for Family Caregivers provides education and support for family caregivers of people with chronic illness. 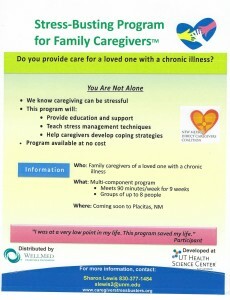 The program teaches caregivers stress management strategies and ways to cope better with their lives. 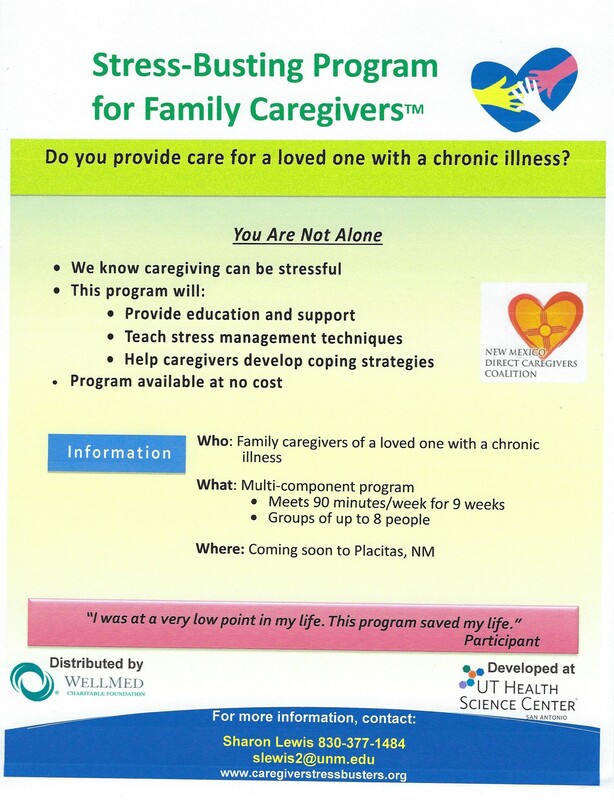 We welcome you to join other family caregivers for a 9-week session that lasts for 90 minutes/week. Groups will be starting soon in Placitas.